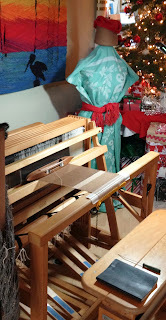 I am all ready for Christmas so I decided to warp my floor loom with some new yarn that Santa brought from WEBS. It's a perfect concept; weaving by the Christmas tree with Christmas music playing in the background and a fire in the fireplace. I have three cones of camel yarn which I received a couple of weeks ago. Never woven with camel before. Never touched camel before. I don't even know if I am allergic to camel... seems a bit itchy... way different than the silk and bamboo yarns I have been weaving with for years. 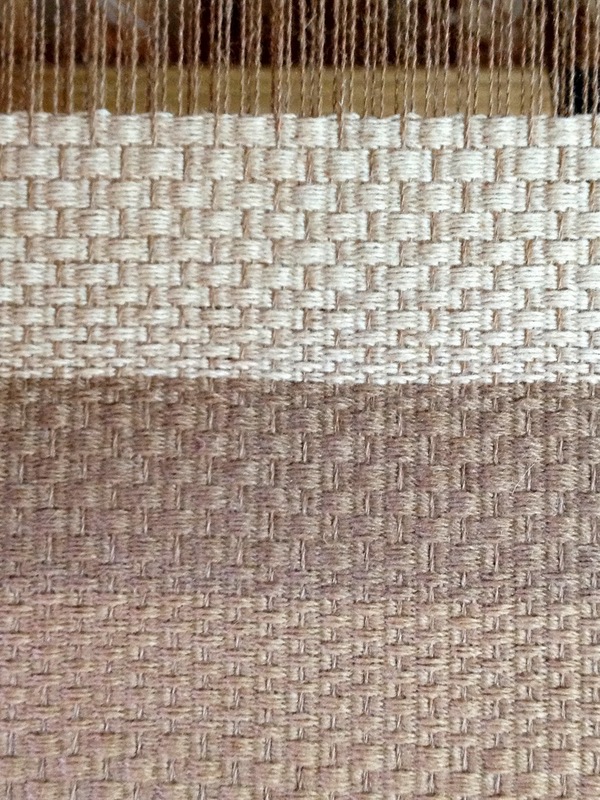 I have both the warp and weft done in camel. The warp is one shade. It seems a bit hairier than the other two cones. Not sure how any of this yarn will work; nor do I have a clue what to do with it. 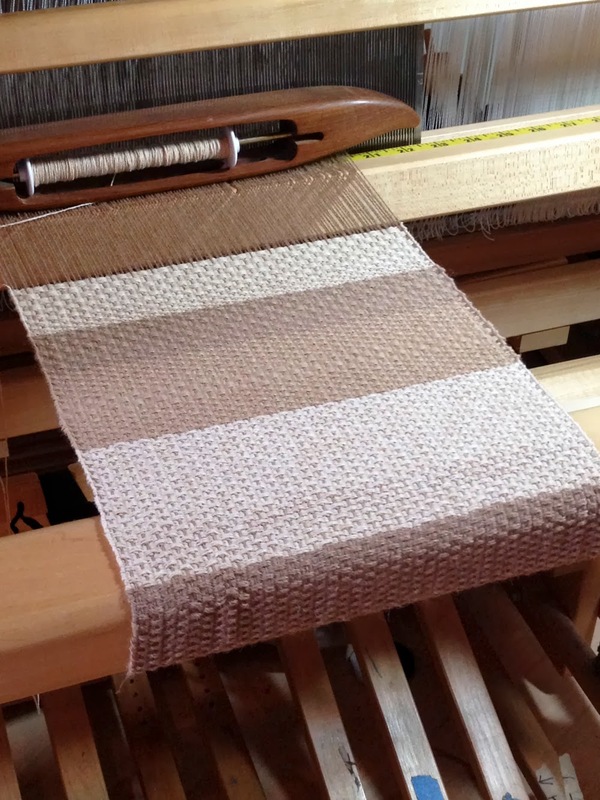 I don't like just weaving for the sake of weaving so for now, I will assume this warp could turn into a runner. This is a 'sample' warp; so I get to play. I have no set pattern in mind. It's set at 12 ends per inch in what I believe is a huck lace set-up. It's the same tie-up I used for some recent scarves. I just went from two threads per dent to one. 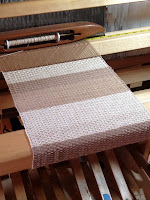 I have woven over a foot so far trying out the three yarns as weft. It does have a nice drape albeit itchy. And the colors are quite calming...a perfect pre-Christmas weave. 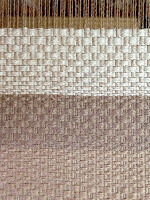 PS I plan on weaving a few more feet then see what a wet finishing will do... more later.